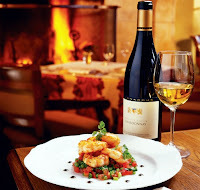 Savor the gracious intimacy of a resort with epicurean flair, set among the oaks and vineyards of the scenic Carmel Valley in Central California. Feather beds, cozy fireplaces and two-person bathtubs enhance the experience at this resort inspired by the same-named winery. Wrapped in tranquility and set on beautiful serene wooded acreage in Green Lake, Wisconsin, Evensong Spa at Heidel House Resort offers guests a relaxing Midwest setting for re-energizing the mind, body and spirit. 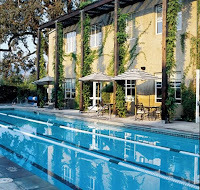 Located in the charming historic town of St. Helena, in the heart of America's most famous wine-growing region, Health Spa Napa Valley at the Inn at Southbridge, offers guests a private, intimate and convenient escape to wellness. 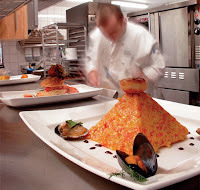 Take time to treat yourself at Tigh-Na-Mara Resort's Grotto Spa, the largest resort spa in British Columbia, offering signature treatments and services with a focus on West Coast natural ingredients. Indulge in a soak in the 2,500 square foot Grotto Mineral Pool, infused with natural minerals and trace elements which detoxify and sooth. Discover the healing power of red earth and blue sky at Red Mountain Spa. A place where you can be active or relax as you like, anytime you like. Discover stunning red rock cliffs, black lava bed gardens and vivid landscape invite exploration. Where daily guided hikes, rock-climbing outings, canyon-hugging bike rides and group exercise classes meet any fitness level. 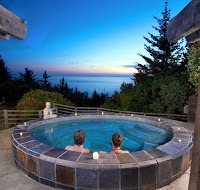 Overlooking Oregon's spectacular southern coast, WildSpring Guest Habitat is a small eco-friendly resort offering luxurious accommodations in a naturally beautiful environment. Enjoy incredible ocean scenery with all the comforts of home. Dog Friendly & Clothing Optional? Yes!